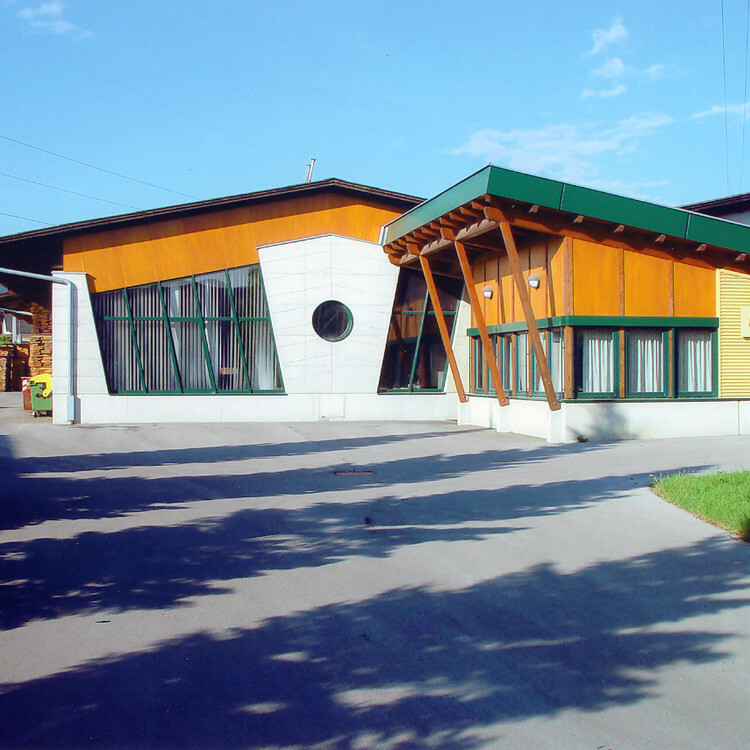 Our family firm has been situated in Graz since 1953. 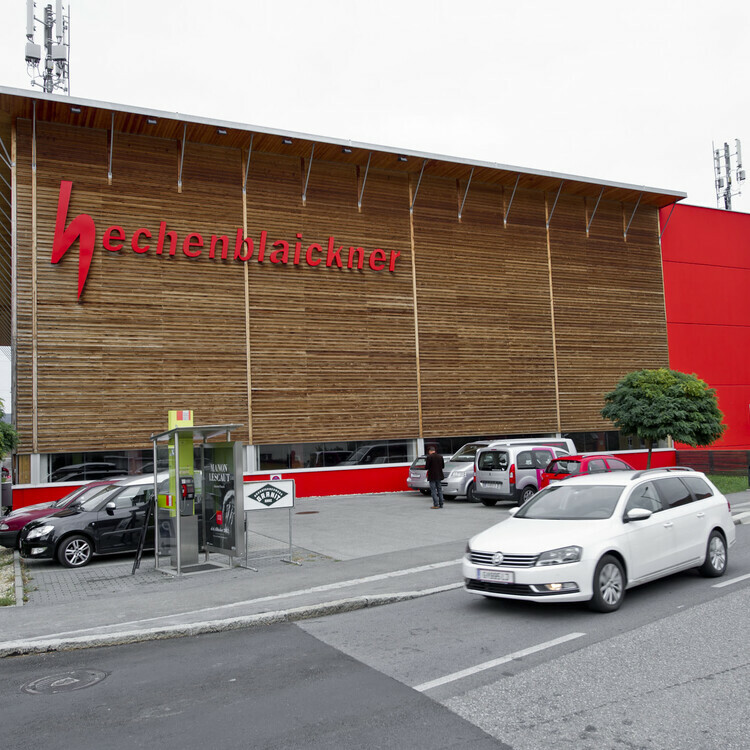 The headquarters were expanded to create a Wood Megastore for wooden construction products and are also home to Austria’s most advanced lumber warehouse with air-conditioned buildings and automatic high-bay shelf systems, as well as the country’s largest veneer showroom. With approximately 20,000 m2 of warehouse space, as well as automated and air-conditioned bays, we create ideal conditions for optimised logistics and high-quality storage of our products. 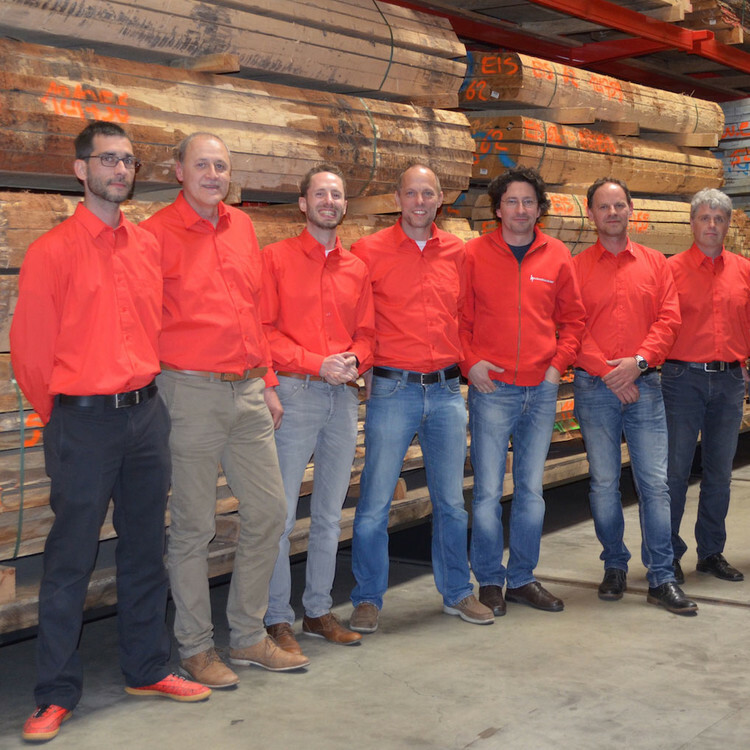 We are the largest supplier of timber, veneer, window scantlings and solid wood panels in the south of Austria. 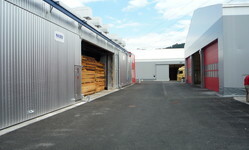 Our wholesale warehouse for veneer products has been located in Gratwein since 1978. We consistently stock over three million square metres of veneers from our own production to supply veneer dealers, panel manufacturers and furniture makers throughout Europe. 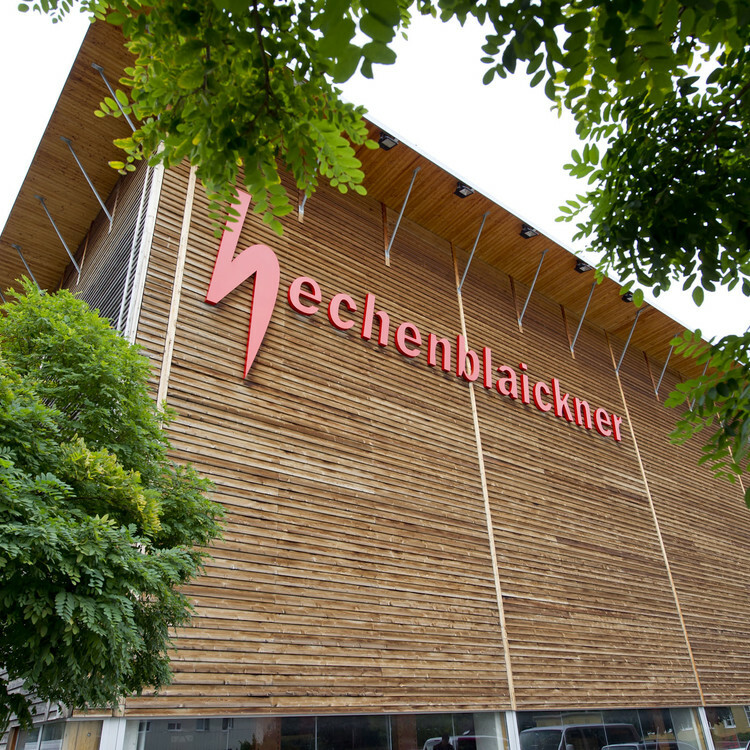 We established our drying centre in Graz-Raach in 2011, just a few kilometres away from our headquarters. 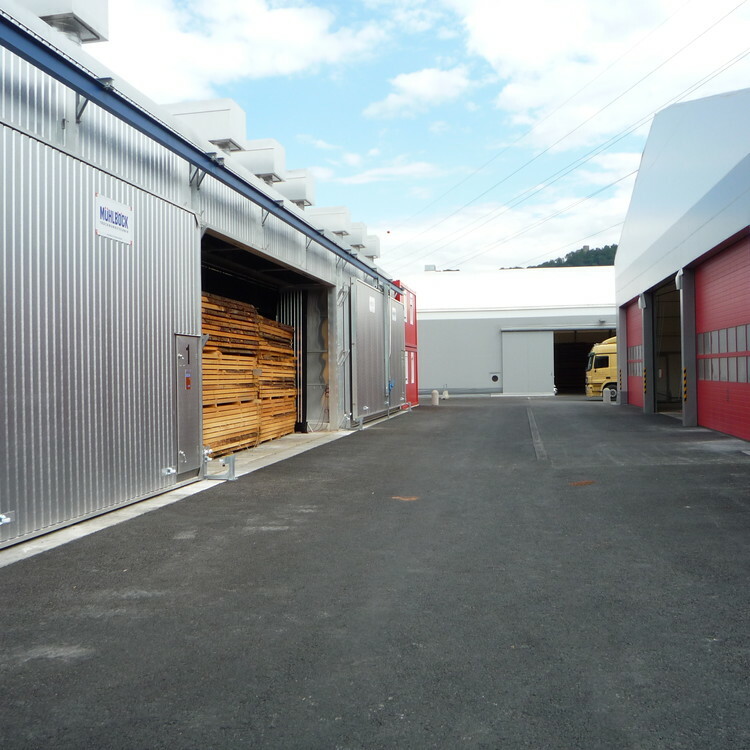 This allows us to offer our customers perfect quality and above all the availability of timber in sufficient quantities. We use extremely careful drying procedures and are able to accommodate special customer wishes. Our fleet of seven trucks – five of them equipped with mounted forklifts – and two articulated lorries guarantees prompt delivery virtually round the clock. 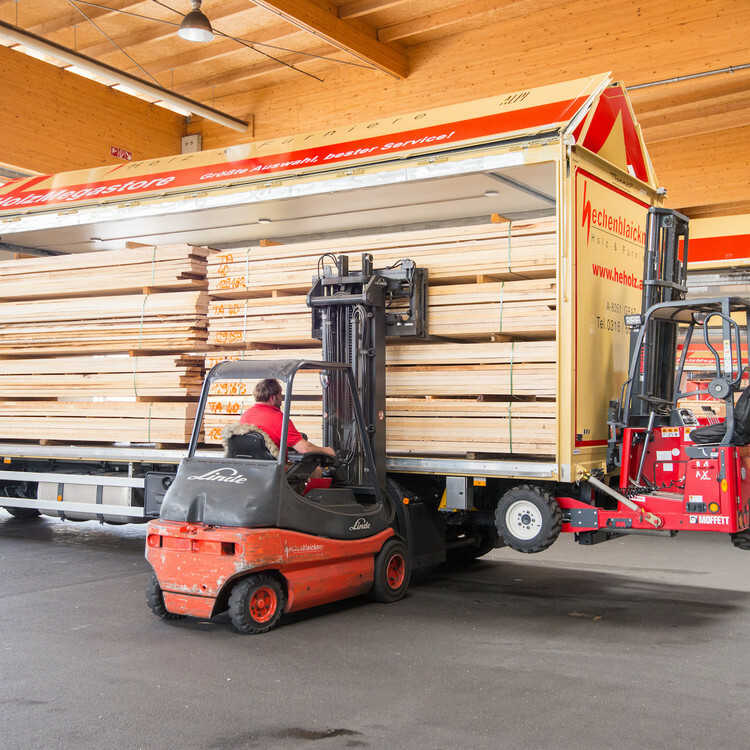 The mounted forklifts ensure quicker and easier unloading at the customer’s premises! For more information about our flexible tours, visit here! 64 employees are at your beck and call to attend to your needs. Expert advice from our sales reps! Nine employees travel the length and breadth of Styria, Carinthia, Burgenland, East Tyrol, Vienna, Lower Austria, Upper Austria, Salzburg, Slovenia and Croatia to cater to your needs. 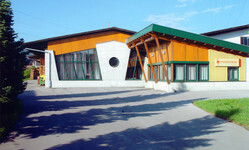 We have offered guided tours of our company for 10 years now. 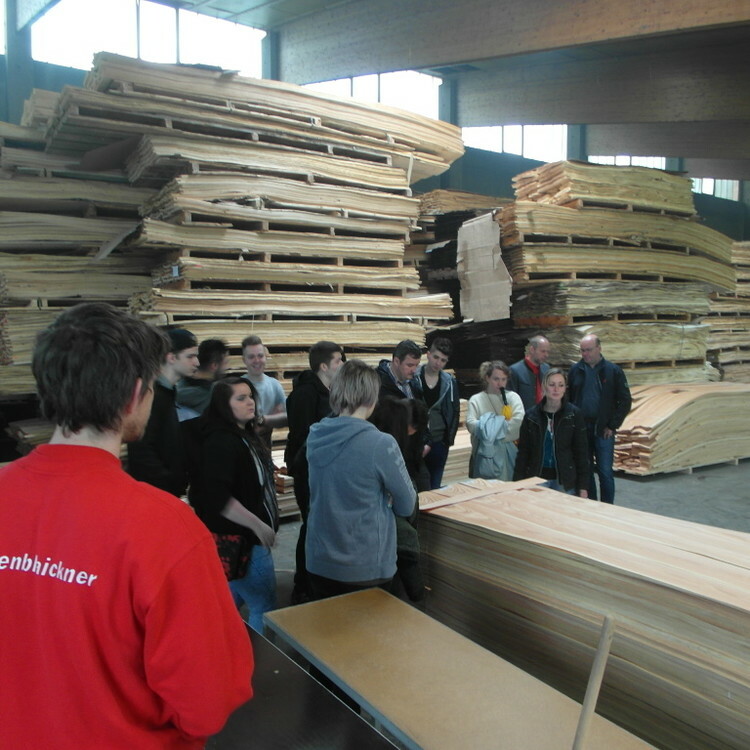 Over 5,000 visitors have since enjoyed our “Everything about Wood” tours. Guests have included joiners, architects, vocational schools and not to forget the budding master carpentry classes at Austria’s colleges. 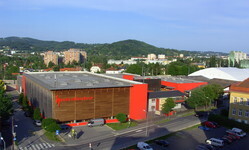 The guided tours are often combined with an excursion to the Merkscha veneer factory near Graz, where visitors can learn more about the art of cutting veneer. 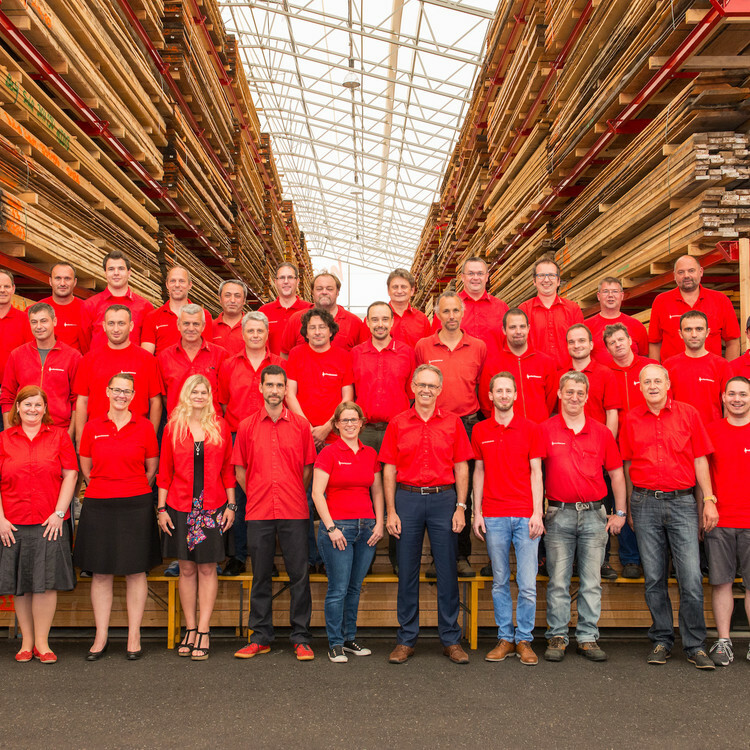 We are FSC-, FSC Controlled Wood- and PEFC-certified. We prioritise the responsible use of wood as a natural resource and are deeply committed to purchasing wood only from sustainably managed forests. Make sure to mention it in your order if you would like us to deliver certified wood. Unfortunately not all of our suppliers are certified, which is why it is necessary to select the material specifically and ensure that everything is documented. We are unable to do so afterwards. Visit the Download tab on our website to access the current certificates.